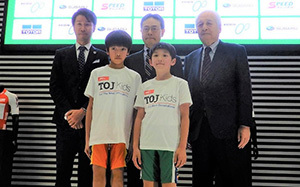 On March 27, an official press conference was held in Ebisu, Tokyo, where TOJ, the organizer of the event, explained the overview of the event, teams to participate in the event, and the course. 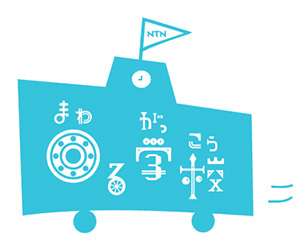 NTN also introduced its thoughts on sponsoring the event and the event "NTN Rotating School." 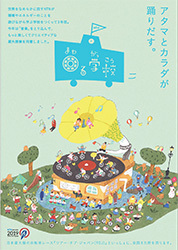 In addition, NTN exhibited the core product; bearings at the venue, and introduced some of the programs of the “NTN Rotating School” for visitors. 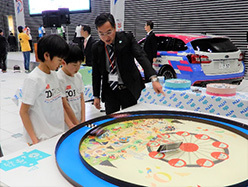 The “NTN Rotating School” is a hands-on program that enables visitors to learn about the environment and energy saving while enjoying attractions and workshops using bearings. The event is run by NTN employees at each race venue, and was held for two consecutive years from two years ago, when NTN sponsored TOJ. The event attracted many participants, including children attending nearby schools and spectators of the race. This year, NTN will continue to hold the “NTN Rotating School,” an event where participants can enjoy learning about the environment and energy saving. 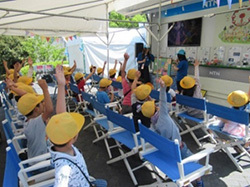 The “NTN Rotating School” offers a variety of programs, including workshops for children and spectators in each region to learn about energy saving for a sustainable society, and hands-on attractions using NTN's core product; bearings for energy saving by reducing friction.